I’ve added the SeaLife Micro 2.0 with 32 gig built-in memory to our rental department. You can rent it for a day ($20.00 for the camera only or $35.00 for the camera and LED Light) or for the Week ($80.00 for the camera only or $150.00 for the camera and LED Light). The camera is a 13 mega pixel, waterproof camera with 1080 video. 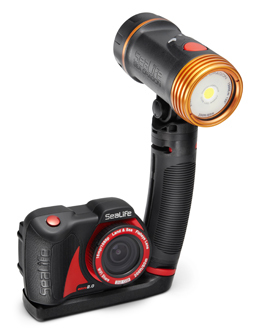 The optional Light is the Sea Dragon 1500 with arm, tray and rechargeable battery. This is by far the simplest camera to use. It is sealed so it can't flood, nor will it need any maintenance, just charge it and go. The Underwater Photography certification is highly recommended but not required to rent this camera. Call to reserve the set for your next vacation!